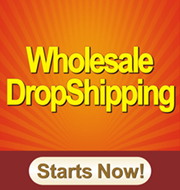 Drop Shipping Service is Always Accessible on ePathChina, There is No Any Restriction or Contract. How to start drop shipping on ePathChina? Please register on our website at first, just do it normally. There is no special drop shipper account on our website, you don't need to bother. We provide unique discount policy, you may check this link: http://www.epathchina.com/discount_policy.php. Also you can contact us, we will see what best price we can provide for you according to specific orders. The longer you deal with us, the more discount you will get. As all the product information is listed on our website, just feel free to copy the photos, product description from our website. You can place the orders on our website after you get orders from your customers. For many products, we offer "Ship Within 24H" service now, so your customers will receive their orders soon. We ship orders according to shipping addresses, so you just need to make sure the shipping addresses are correct. If you have many orders with different shipping addresses, you can send us a spreadsheet or something else with the addresses, we will place the orders for you. Please leave a comment with "dropship order" while you place an order. We will not reveal any information of our company to your customers. All the dropshippers are welcome! It is very convenient for you, you don't need to store any products, and you have nothing to worry about. Just place the orders on our website, we will take care of the rest for you.